Too many soft drinks and ineffective brushing combine to create a situation in which the faces of your front teeth can begin to lose calcium. This is called decalcification. White areas begin to appear near the gums where bacteria grow. These bacteria secrete acids that dissolve the surface of the tooth. 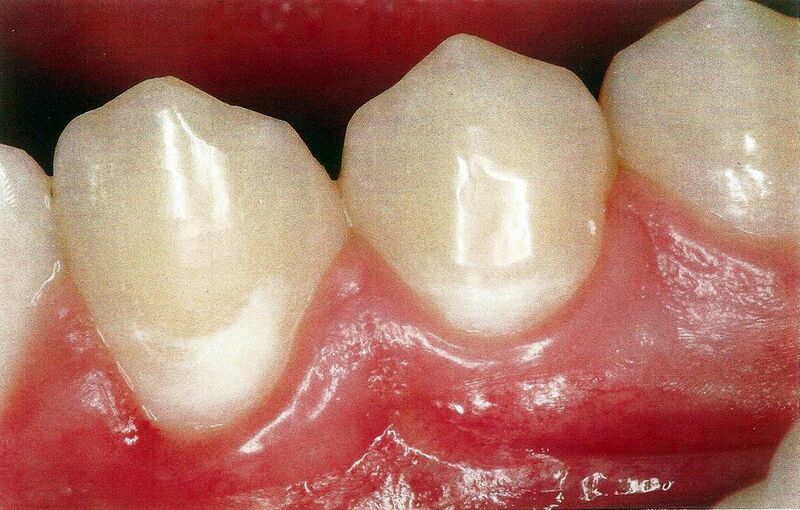 This situation can be corrected with cosmetic dentistry by bonding a composite material to the surface of the tooth. But it is better not to let it begin at all. Healthy food choices and effective brushing will make sure that your teeth retain their natural color.